The poem was published anonymously in the Northern Rhodesian Journal (in present day Zambia) in 1959. For we are out to save ‘yer. Will make exploded the Tories. We’ll then proceed to bust ‘em. Check out African Arguments for a brief backgrounder. The election remains too close to call, which means that Banda is winning. 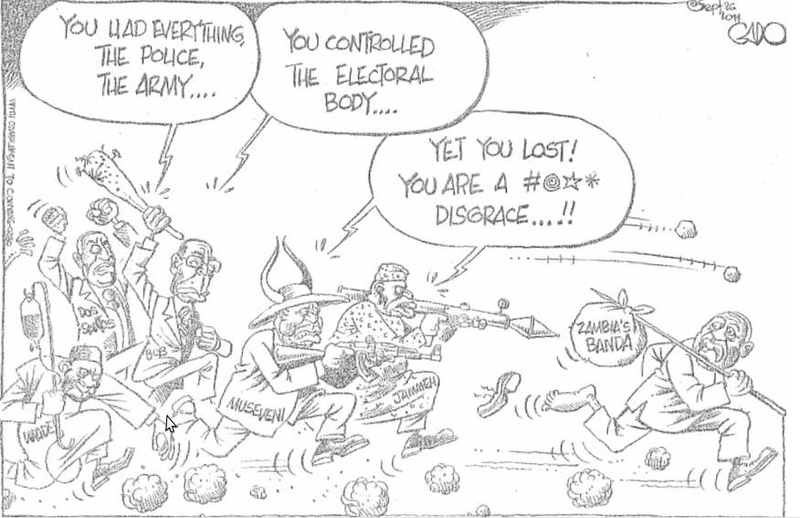 Given how stacked things are against the opposition, they can only win if they do so convincingly. If it is close (like it was in 2008 when the president won by just over 30,000 votes) the electoral commission will be under immense pressure to hand the ruling party, MMD, the win. Mr. Sata (the main opposition (PF) candidate) has urged his supporters to stay at polling stations to monitor the tallying and relay of results. I understand there will be an NGO-led parallel vote tallying (but which won’t be publicized because of govt. sanctions). I hope I can get a hold of these results before the end of the week. The electoral commission of Zambia has promised to release the results within 48 hours of the polls closing – that is Thursday evening. In Lusaka everything is slowing down in readiness for the elections. There is a sense that there will be isolated violence in some parts of the city but nothing too serious. From what I gather the Copperbelt is the region most at risk of election-related violence. People there have (or believe that they do) the most to gain if PF wins (The Copperbelt is also majority Bemba. Mr. Sata is a Bemba speaker). The MMD’s privatization drive (of the mining sector) since the early 1990s has hit this region the most. Many lost their sinecures in parastatals; free medicare and schooling disappeared; and there is also a sense that foreigners are benefiting at the expense of ordinary Zambians in the region. Mr. Sata has promised to channel more resources from the mining sector into social programs and a more aggressive job drive. This is largely campaign hot air but it appears to be sticking. The MMD will be lucky if it gets even a single parliamentary seat in the Copperbelt. 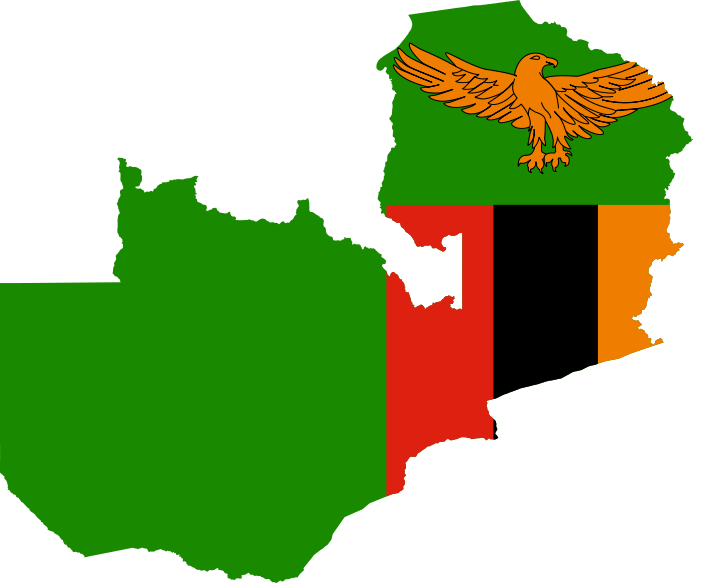 The Zambian elections will be held on the 20th of this month. The main candidates are incumbent President Rupiah Banda (RB) and opposition leader Michael Sata (Sshhh, don’t kubeba). The two are running on the MMD (movement for multiparty democracy) and PF (Patriotic Front) tickets respectively. Both parties have fielded parliamentary candidates in all constituencies. PF is widely expected to take the urban areas and most of the developed parts of the country. MMD’s stronghold is in the rural areas. Many on the streets of Lusaka and other parts of the country – well mostly along the railway line coming down from Nakonde – believe that it will be a close election. They also think that if it were truly a clean election Sata would win. MMD knows this and has been distributing chitenge and other goodies like there is no tomorrow. This has prompted PF’s slogan of don’t kubeba (don’t tell them); which asks voters to take the chitenges and money but not tell MMD that they are truly PF. I have seen pictures of women in the Post in which women have two chitenges on: a PF one covered by an MMD one. Because of the deep skepticism over the integrity of the upcoming elections many in Lusaka think that there might be disturbances if PF does not win.